Whenever there is a device that is to be used for your purposes, someone can find a way to use that purpose against you and fight you with it. So it is my assertion: Do not state “We are secure”!, say “we are ‘secure’ within our abilities and budget”. So essentially what wordfence is suggestingwordfence is suggesting is to update WooCommerceAbandoned cart Cart Lite for WooCommerce. Wordfence is suggesting to update the plugin ASAP to 5.2.0 or higher to solve the sanitization checks that a bug introduced. So now that we know a specific problem with a specific plugin, all we have to do is update. But this basic act of updating is not that easy sometimes. This is typical of software and our security dilemma, a new vulnerability is discovered, has to be fixed and patched/released. Then of course the administrators have to install the patch. So this is why we will never be 100% secure there will always be a time when the vulnerability is discovered to the time it a patch is installed when we are not secure. What are the possible problems when patches are not applied? and hackers do their work first? Jackson County Sheriff Janis Mangum said Friday that experts are still cleaning their computers. “We can book someone (in jail) without doing it on paper, but deputies are still doing paper reports,” she said. Mangum said she received a telephone call last Saturday from the Information Technology staff “wanting to know if we had an FBI contact they could reach. That’s when I knew it was more serious than just being down,” she said. This article does not go into the forensics investigation of how the ransomware software installed itself, and we will keep an eye out to the Internet as to how exactly this started. But very likely something was not patched, the hacker software installed and then went from there to control the data and all the devices on the network it can. Even if the initial infestation was unique (social engineering ) the additional attacks of infesting the rest of the computers usually requires some additional vulnerability which also can take advantage of unpatched devices. The weaker you are with patching the more likely you will be attacked and hacked. In this case (Sheriffs computers in court house) somehow were infested and then later the encryption software download happened. After that the software tries to propagate and destroy the rest of the systems on the network. Also an Auditor reviewing your patching is also advisable. There are no guarantees, although one can reduce risk with enough safeguards and testing in place. Like we can do CISA certified contact us. Hacking, is it Like a Recipe? You see Yahoo actually with 320 million and River City Media with 1.37 Billion hacked accounts. Each bubble has a story, with a breach and people affected by the hackers attacking some aspect of the information technology defense. So how easy is it for hackers to attack ? Is it a recipe? Do you perform a few functions and then steal the data? I have blogged this methodology for 3 years now, and it is interesting that in 3 years plus with various explanations the methods of hackers has not changed too much. After they review the attacks by looking at your defenses they are now ready to probe your specific defense with specific attacks. In my mind the #1 reason for hackers to attack is money and the Darknet tells the story, the Darknet is where the criminal hackers trying to make money sell their gains. If you ask me the credit card problems we have gotten due to the new normal of these “hacking events” is annoying but not life changing for the most part. 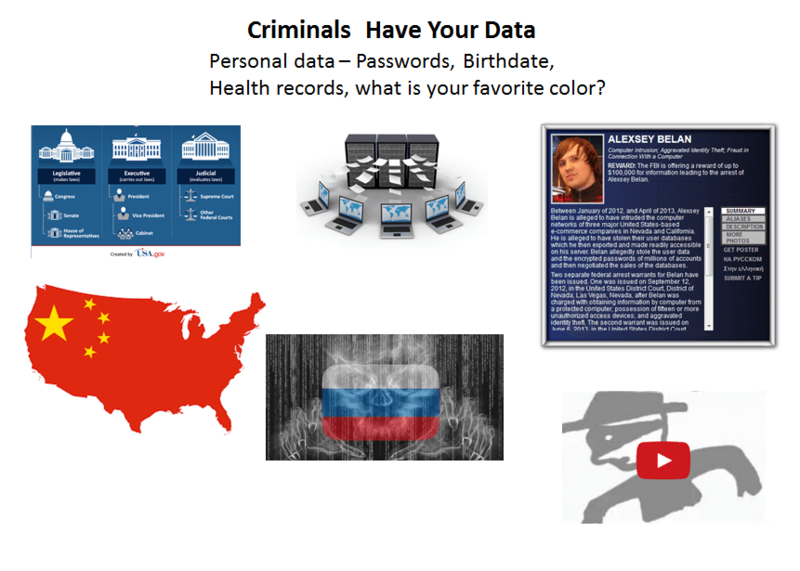 What would be LIFE changing is the hacking and stealing data (information) of health records. Now the hackers could really mess with other aspects of our lives which we are not used to modifications. How exactly would a “screwed up” health record look? The next time your doctor looks at health records are they doctored? Or not? Every day there is a new day and the hackers are looking for new ways to make money including using the massive amount of health data already stolen. This means we need to be wary of our information usage and review all manners of defenses everywhere. Test, test, test your defense should be the mantra. Because the hackers are probing and attacking all the time. It is a classic red vs blue issue. Author zafirtPosted on April 5, 2017 Categories SecuritybreachesLeave a comment on Hacking, is it Like a Recipe? Sure Connect ABC device to Internet!!?? Amazing to note that many companies are creating devices to connect to the Internet and thus open these devices up to a variety of attacks. The default root password has been disclosed by Packetstorm last year January 12th, 2016. Did you read that correctly? Yes last year. This Biometric hardware by Fingertec does not operate like a traditional machine, it is ‘updated’ and gets it’s intelligence from the ‘cloud’. Which means it is on the Internet. This means that you are exposing this device to the hackers and wily operators of the world. The problem we have is managers that make decisions to purchase and install these devices are not thinking about security at all. In fact due to their preconceived notions of it will not happen to us, we are too small, we have nothing to steal, and more excuses, Cybersecurity is not thought about. They do not understand the implications of clear text tcp/ip communications by Fingertec. To a seasoned hacker (security professional) the device will take a little effort but can be breached rather quickly. Especially if basic precautions are not kept, like changing default passwords. What if you have Biometric devices? are they connected to the Internet? Maybe they are vulnerable. Author zafirtPosted on January 11, 2017 Categories computersecuritynews, SecuritybreachesLeave a comment on Sure Connect ABC device to Internet!!?? 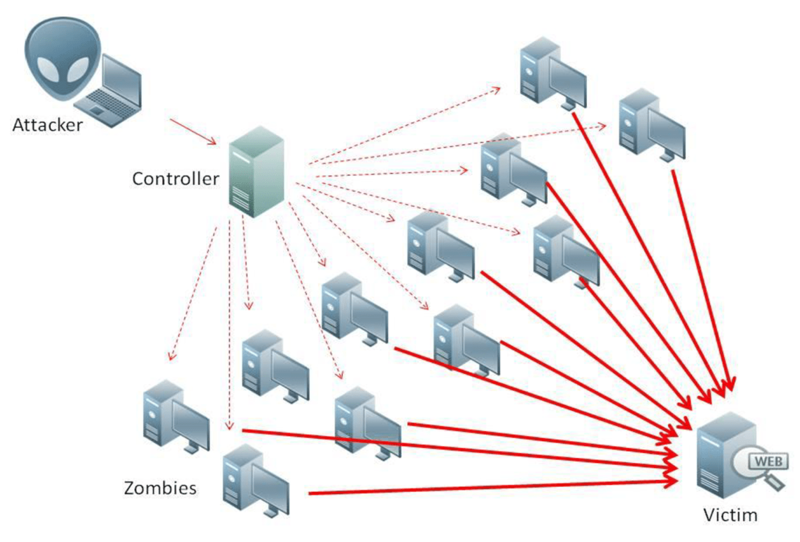 The hacker must have a method in starting an attack like Dynamic Denial of Service (DDOS). in the last few days. the one which used hacked cameras and DVRs (Brian Krebs story) in attacking many Internet properties. The hackers used the weak default passwords of these devices (cameras and DVRs – IoTs) to create a program that controlled many of these devices to then create an attack using the simplest method of all – just ask for a connection. Asking for a connection might be innocuous but when a hundred thousand devices do it then it becomes a traffic jam. And pretty soon it is not a regular traffic jam, but the monster trucker traffic jam. 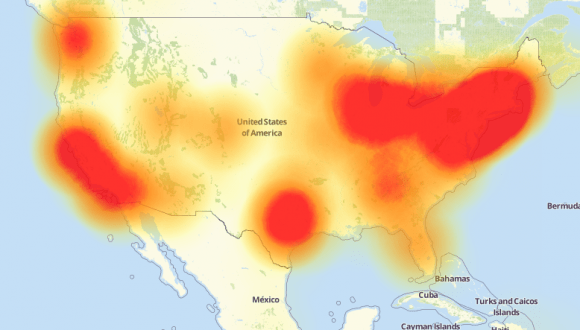 What does this new DDOS attack mean for the foreseeable future? we have to figure out Risk in our compliance-IT departments. The interesting thing of security is that Likelihood can change with the latest occurrences in the world. 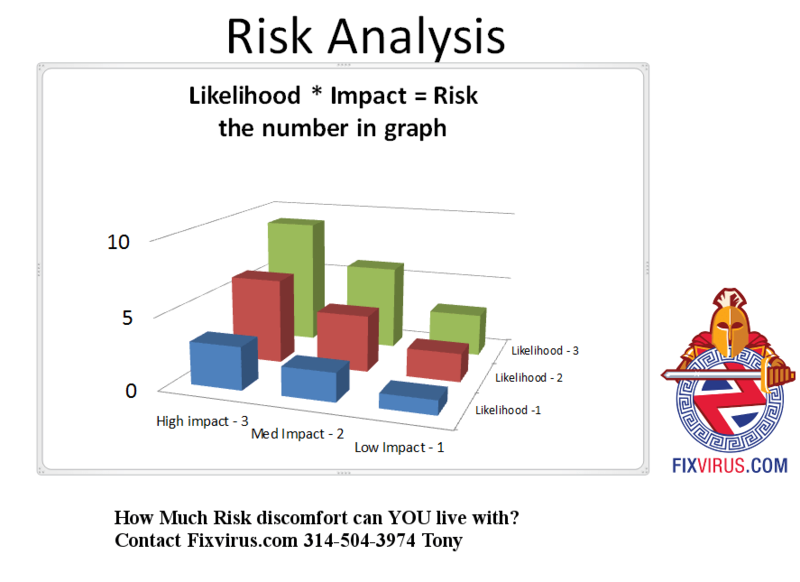 So now all of our Risk calculations are changed. As usual this means that it depends on your impact from a DOS event. If you are using a webserver to accept sales orders and you are getting attacked by these DOS events your Risk has now increased. As Amazon, Twitter and other Internet properties had problems due to the nature of the DDOS as it affected DNS servers providing addresses to the general public. This particular attack was an indirect attack, as your own servers were not targeted only DNS servers which may or may not have translated your name to IP addresses across the world. So ‘it depends’ on whether you would have an impact or not. One thing is for sure if you are creating IoT devices and have lax security default passwords and the like which are vulnerable to these types of attacks, in the future you may be liable for any damages. In any case this is a great example for re-evaluating your Internet exposure and updating your risk analysis. Using Yahoo Email? Should You Notify Customers that Your Email is Breached? YAHOO AND ITS SUBSIDIARIES, AFFILIATES, OFFICERS, EMPLOYEES, AGENTS, PARTNERS AND LICENSORS MAKE NO WARRANTY THAT (i) THE YAHOO SERVICES OR SOFTWARE WILL MEET YOUR REQUIREMENTS; (ii) THE YAHOO SERVICES OR SOFTWARE WILL BE UNINTERRUPTED, TIMELY, SECURE OR ERROR-FREE; (iii) THE RESULTS THAT MAY BE OBTAINED FROM THE USE OF THE YAHOO SERVICES OR SOFTWARE WILL BE ACCURATE OR RELIABLE; (iv) THE QUALITY OF ANY PRODUCTS, SERVICES, INFORMATION OR OTHER MATERIAL PURCHASED OR OBTAINED BY YOU THROUGH THE YAHOO SERVICES OR SOFTWARE WILL MEET YOUR EXPECTATIONS; AND (v) ANY ERRORS IN THE SOFTWARE WILL BE CORRECTED. I’m no legal analyst, but this disclaimer of warranty is not promising they will keep your stuff secure. when it says so in their disclaimer of warranty!!! 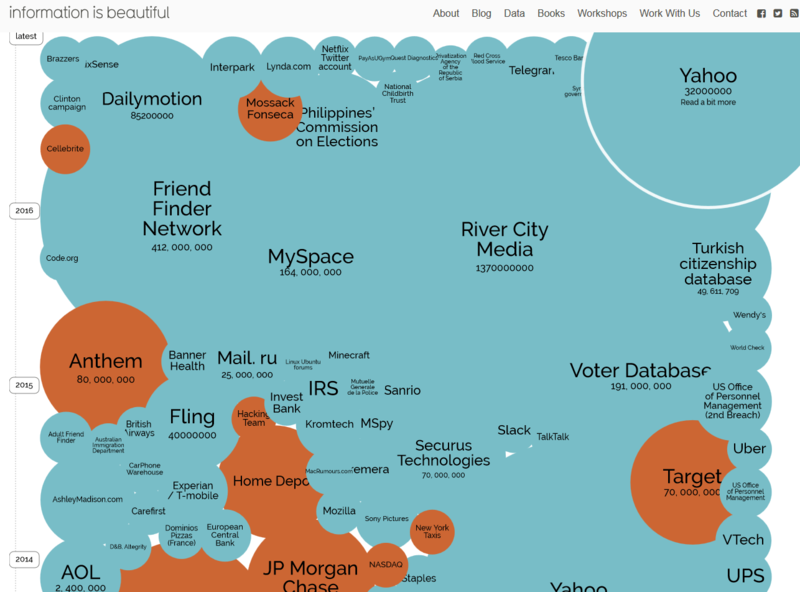 The hacker could look at your email – what can they figure out from your email flow? Do you use of your Yahoo email account as primary account on logging into other services? Where do you log in with your yahoo account information (it is the primary email) wherever that is could cause problems for you. Unfortunately Yahoo is also the email service for many Phone, Cable and Internet service companies, and that means your home email account is now compromised. For example this story in The Telegraph mentions 8 million accounts now affected in the UK. A hacker could log into your Yahoo account and notice emails which create other hacks. So if you re using Yahoo email think about all the places it is being used as a login account name and consider what happens when the hacker has that as well. How are your risk management assessments when the hackers have usernames and passwords in your network? In fact risk assessment should be changed with that in mind? Does your IT security keep that scenaio in mind? Should you be looking in your network for data to be retrieved by accounts looking like normal traffic? Are you reviewing standard traffic for exfiltration of company data? Now that you know your email has been hacked when do you notify customers? If it was me, I would notify them that my Yahoo account is potentially hacked and will be moving to another company ASAP. Being a little paranoid is not a bad thing in Cybersecurity. Contact Us to discuss the changing liabilities in your Cybersecurity risk management framework with this Yahoo hack or any potential liabilities that you may not have thought of yet. Author zafirtPosted on September 26, 2016 September 26, 2016 Categories Securitybreaches, SecurityThreatsLeave a comment on Using Yahoo Email? Should You Notify Customers that Your Email is Breached?